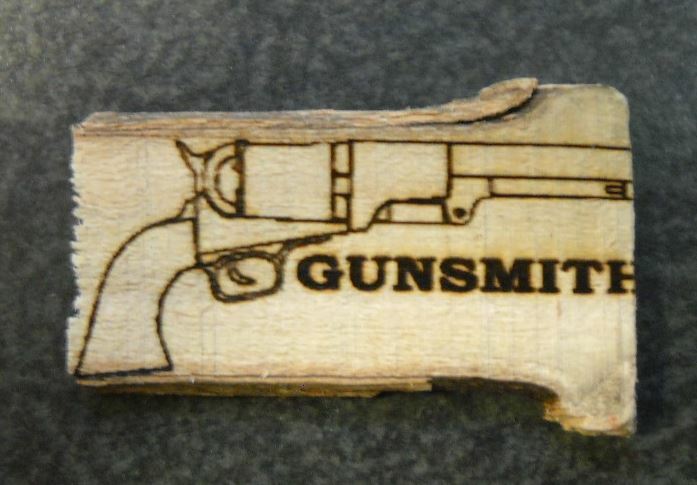 I was out at my workshop today and remembered that I had bought a small laser engraver online to do some labels for woodwork projects. Well I brought it home and took a piece of On30 lumber and engraved a sign. I need to get it to center but here is a first attempt. Think it will look good mounted on a building. The art of centering, have to get this down a little better. Make a great handing sign done on both sides. Bait & tackle shop sign. It will go over acrylic paint to so you could have a paint weathered sign with this etching. I like the rough sawn wood look. 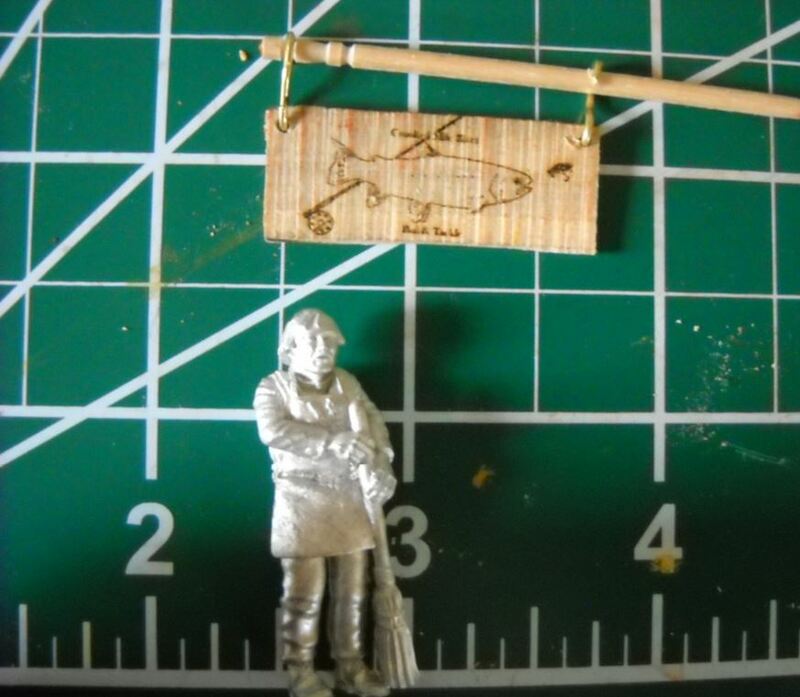 No Hunting sign done over acrylic paint lightly weathered. Just was on your blog very nice. And one with some buckshot holes. I find that the laser engraver has a very small area that it will cover, so doing a bigger sign has to be done in sections. 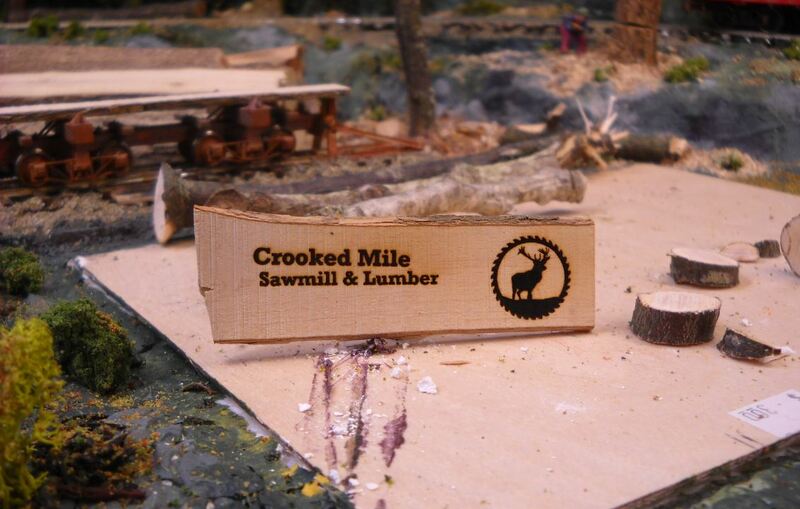 This one for the sawmill & lumber yard is done in 3 areas and I could add some script lower left. 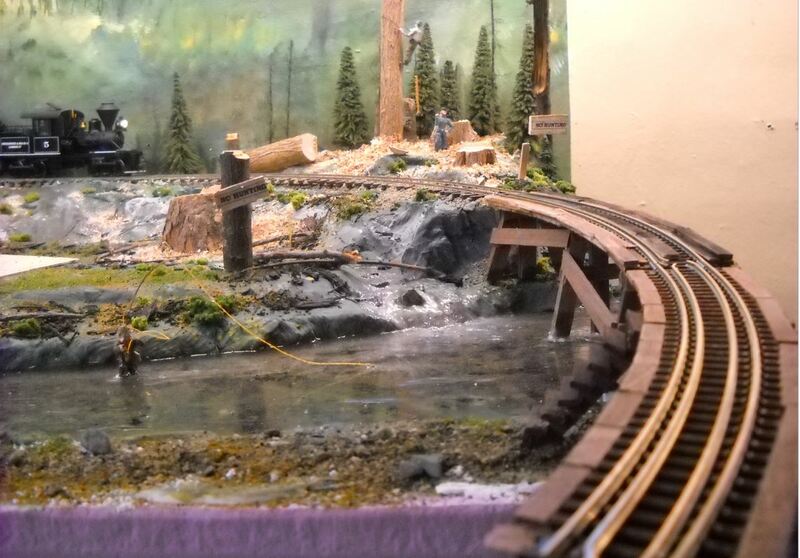 Some progress with the railroad, crossing the Crooked Mile River. Bridge number 3. 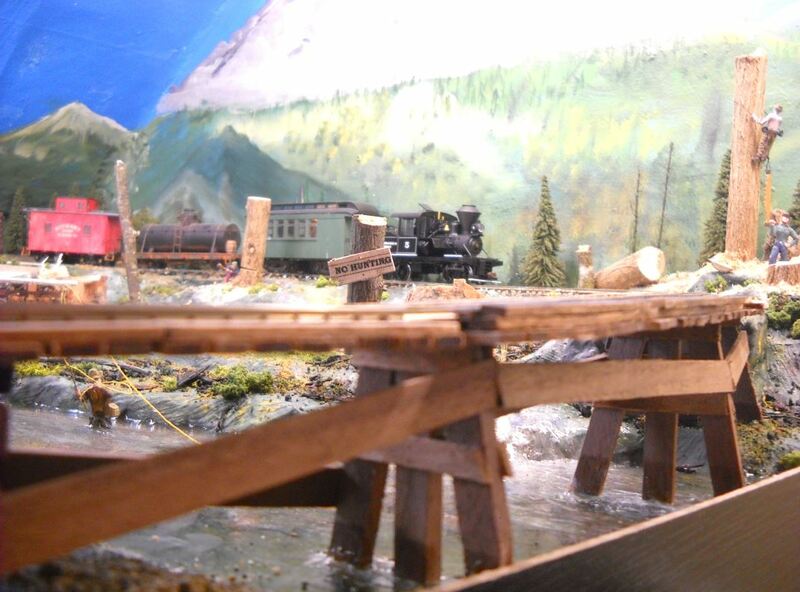 As the bridge was built after the river, some water effects around the base is needed so that the eye cannot see that the bridge is ON the water instead of to the river bed. I liked Magic water it was the best around. HOWEVER...... Now there are many around and the last few pours were done with a table top epoxy form Home D...t called Parks Super glaze. It worked faster, just as clear, and much less $$.